I’ve been planning some sewing and quilting classes. One will be on how to make a patchwork table runner. To prepare, I’ve been making samples for each of my courses. Here are some pics from the table runner. 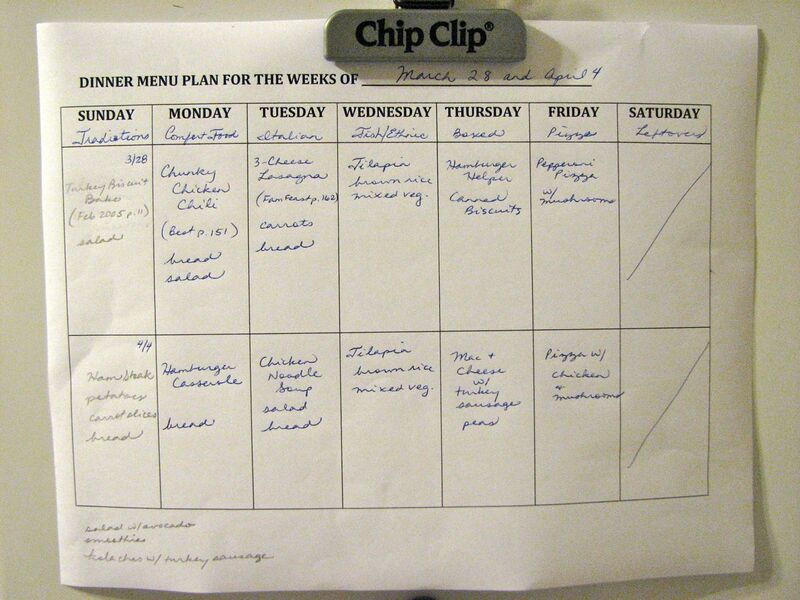 This is a continuance of the two week menu I made for the weeks of March 21 and March 28. Each day of the week has a theme, such as pizza on Fridays. Check out The Food Nanny for blank shopping lists, theme day recipes, and blank menus. For more menu plans, go to Org Junkie. I love kolaches. I can eat them several days in a row for breakfast. It can get pretty expensive if you go to the kolache shop each day, so I’ve taken to making my own at home. I make a batch of dough in my bread machine, make the kolaches, and then freeze them. 40 seconds in the microwave gives me a delicious, instant breakfast that’s super-yummy. I’ve found that one batch of dough with one package of sausage will give me 16 kolaches. I’ve been trying to do theme nights with my menu planning. Fridays are pizza nights. I make pizza dough for two pizzas, which is getting easier each time. We eat pizza on Friday and leftover pizza over the weekend. 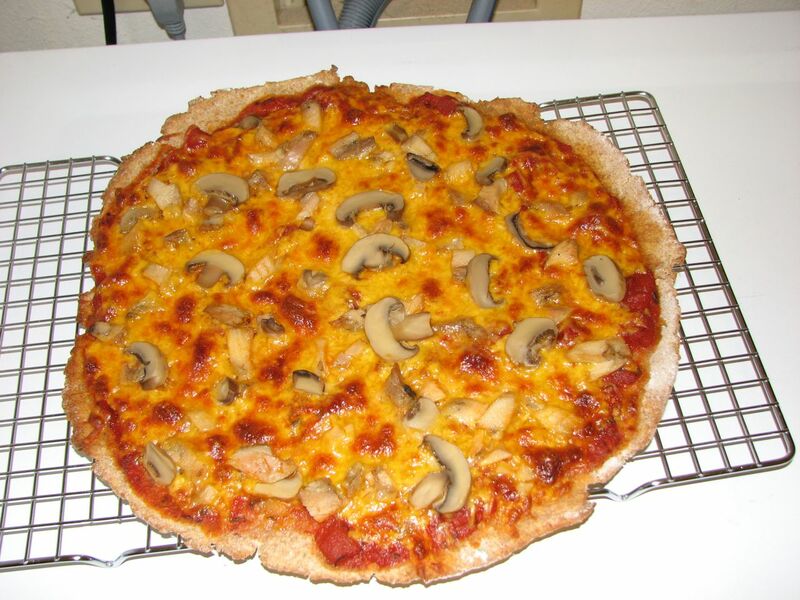 For chicken pizza night, for one pizza, I used pre-cooked and then frozen chicken fajita meat with mushrooms and cheddar cheese. 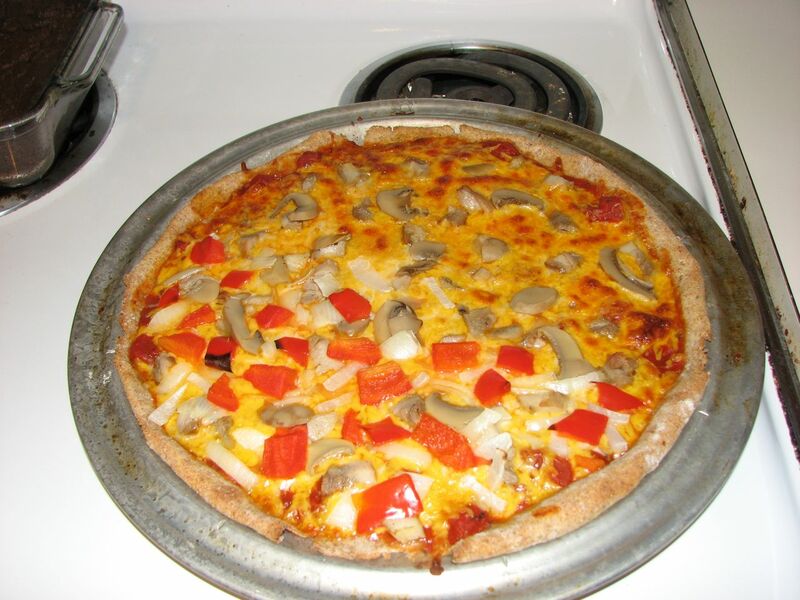 For the second pizza, I added onions and red bell peppers to half of the pizza. 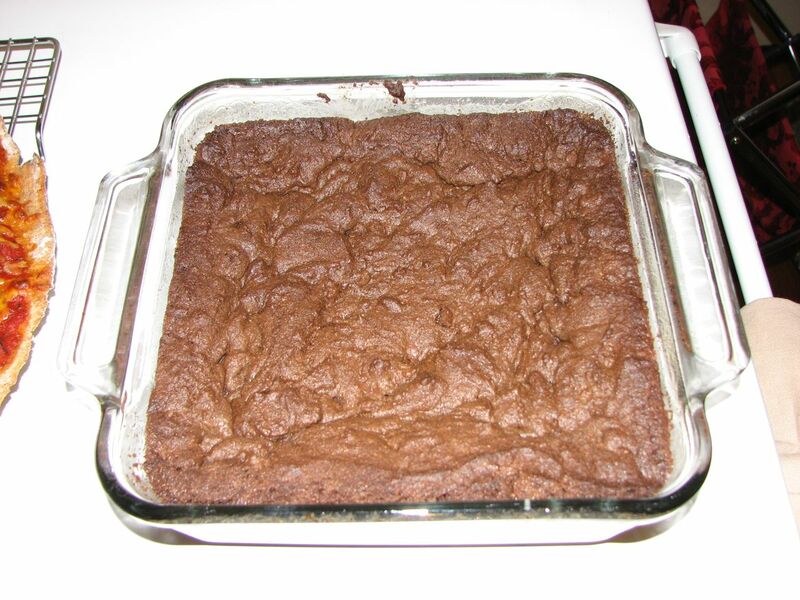 For dessert, and to soothe chocolate cravings, I made what I call Twin Mint cookie dough, but I baked it in an 8 x 8 casserole dish, instead of making individual cookies. My husband and I built a fabulous double compost bin today. In the pictures below, you’ll see our previous compost method. It was a ring of chicken wire. It was very hard to access compost, because the compost was at the bottom, the new stuff was at the top, and the entire structure was too heavy to lift. After researching compost bins online, we used wood, the original compost cage, and additional chicken wire that we already had at home. First, we moved the original compost cage out of the way. Then, we moved the compost soil out of the way and cleared the space. We also had to trim some bushes that were in the way. After that, we cut wood, screwed pieces of wood together, and used a staple gun to attach the chicken wire around three sides. The 1-inch chicken wire was way to big. For the sides that had it, we put boards up to keep the soil from going through. We’ll also put boards on the front of the bins (not attached), so that we can keep the soil in while composting, but be able to remove the boards and easily shovel it out when its needed. We put the compost we already had into one bin and we’ll add to the other bin until it’s full. Then, we’ll switch bins. Whenever I plant something new in my veggie garden, I’ll now have easy access to compost that I can mix in before I plant. I planted yellow bell peppers, two kinds of zucchini, green beans, and cucumbers today. I had to wait until it warmed up after the cold front we just had. I hope to also plant some tomatoes in the near future, so I’m excited about that, too. In an effort to try ideas from The Food Nanny, I’ve been trying to plan a menu and shop for two weeks at a time. To help, you have theme nights, such as Italian food on Tuesdays and pizza on Fridays. I’m posting my two weeks of menus separately, but I did shop for the both weeks in one shopping trip this weekend. On Thursdays, I have a grad school class out of town (every week) and on Saturdays, we eat leftovers. Please note on the menu picture above, I initially wrote the incorrect dates. At the bottom of the menu, I have listed that I want to make salad with avocado, smoothies, and kolaches with turkey sausage. These are not dinner items, but I wanted to include them so that I would get the appropriate ingredients on my grocery list.